After downloading the software, I had to recompile it using the new IO port define of 0xD800 since that's what the PCI card had it mapped to. Started it up and it worked really nicely! 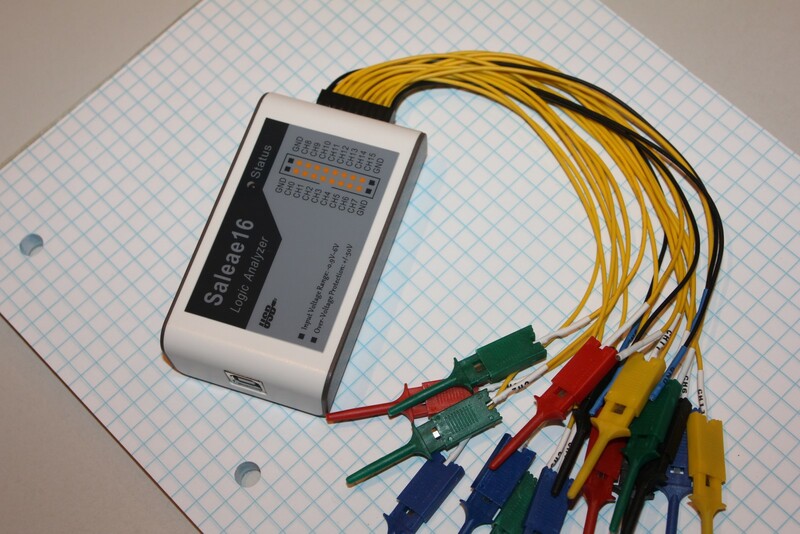 I did not have the card's probes hooked up to any kind of special signal but only to a stable 5V. Tested the acquisition rate and it looked promising 50KHz. I had a simple centronics interface and it prevented me from doing anything more at this point until I get a better cable; a simple DB25 would let me jump the pins to a breadboard. Around that time, I have also tried several other ideas attempting to use the parallel port as a data acquisition interface to analyze the TTL logic. None really worked. I mean - some of them kind of worked. At the end, I did not feel that I could do any serious logic debug by using such makeshift things. 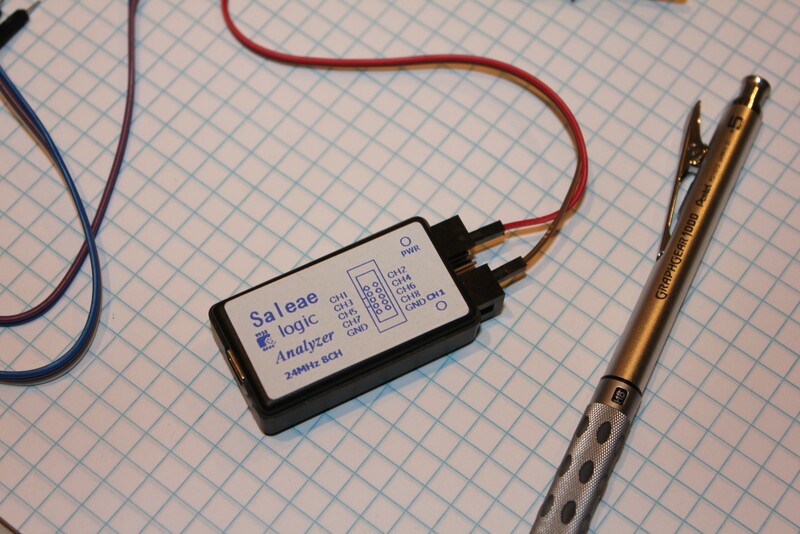 So, finally, I purchased a USB connected logic analyzer device with 8 channel data acquisition, a clone of a Saleae device. I got it from China. I figured, even if it did not work, it was cheap enough to justify the risk. After 4 weeks it arrived and it worked perfectly. So I purchased another one - this time a 16-channel device. It was a bit more expensive, but it also worked right out of the box! The software is very polished and easy to work with.